Affordable, Casual Poolside Living can be yours to enjoy in this wonderful 3 bedroom 2 bath home located in the established neighborhood of Laurel Oaks. Enter through the front door into the living room with beautiful wood floors and charm. The large open kitchen offers stainless appliances, opens up to the dining area and overlooks the pool. Speaking of the Pool......This wonderful salt water pool with spa is the perfect area for entertaining friends and family. Entirely screened and a gazebo area perfect for outdoor grilling or relaxing with a great book. The pool was re-surfaced about 4 years ago and the pool equipment is just over a year old.. No Worries, Just Enjoy! Inside the family room opens up to the pool area and is the perfect spot for Fun Times! This home is located along the back side of Laurel Oaks and backs up to quiet pastureland. 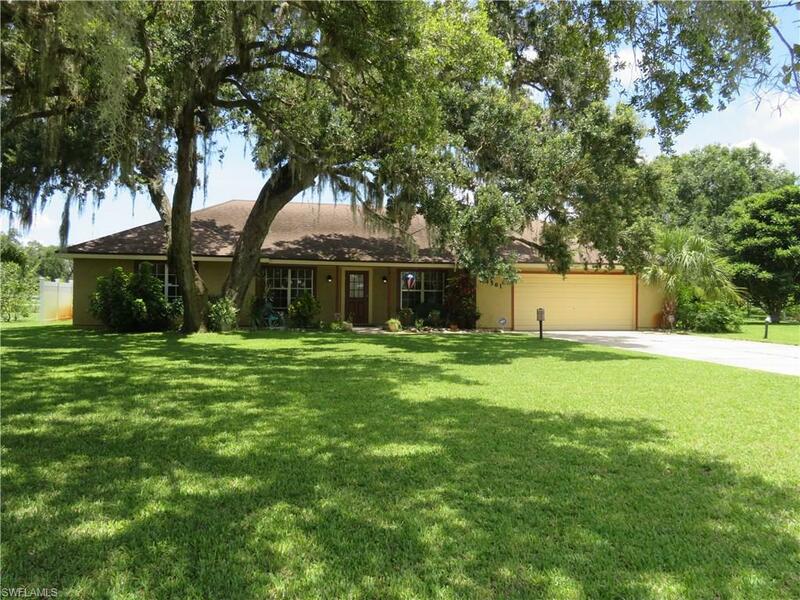 This is a one way in, one way out neighborhood with an easy commute to Clewiston or Ft. Myers. Don't delay, Schedule your showing today!